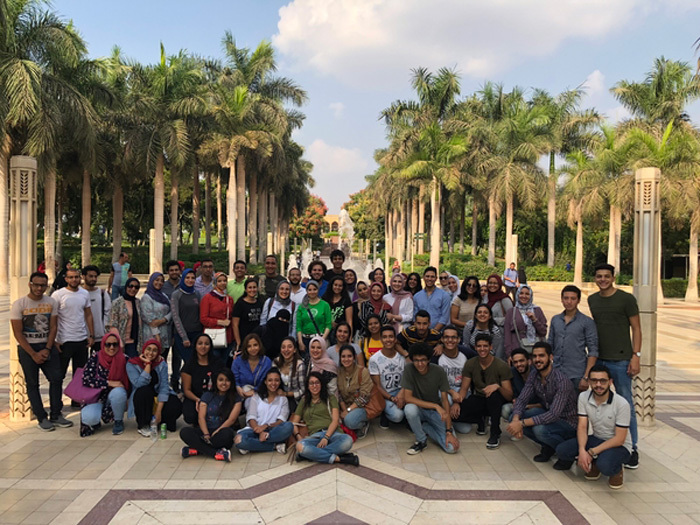 Under the auspices of Prof. Ramadan Abdel Maksoud, the Head of the Architectural Engineering Department, a field trip was organized to Al Haraneyah Village, Bayt Al-Suhaymi (“House of Suhaymi“) and Al-Azhar Park in Cairo on Wednesday 17/10/2018. This trip was considered a practical application of the course of “Architectural Design Level 3” taught for the third- year students. The coordination of the trip was managed by Assistant Prof. Dalia Elsordy, Dr. Mona Naguib, Eng. Nesreen Ayad, Eng. Amany Almasrawy, Eng. Hager Alfeky and Eng. Monica Heshmat. 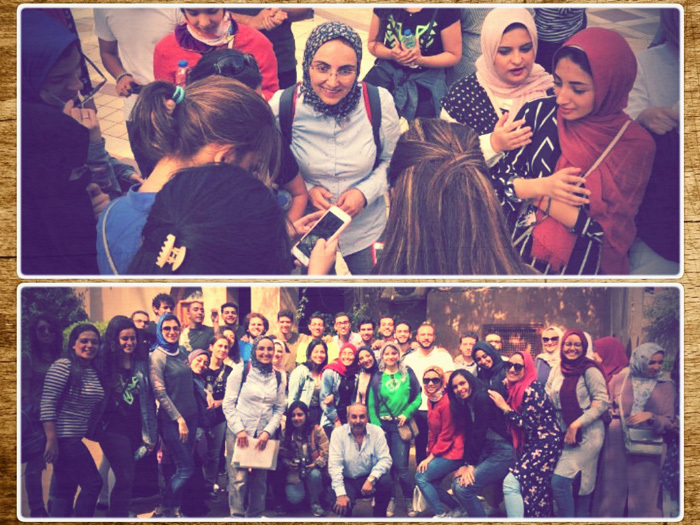 During the trip, the students were apprised of several important points including the following: arcologies and its different designing features, especially with regard to increasing the air flow inside the buildings, lowering the temperature inside the spaces through using eco-friendly products and the energy conservation techniques being used in this kind of buildings. They were also acquainted with the rainwater drainage system employed in arcologies, the architectural design of spaces and facilities and how to choose the right size furniture that fits the available designed spaces. By gaining this practical knowledge, the students would be able to apply these eco-friendly aspects while creating an architectural design. During their visit to Al Haraneyah Village, the students were oriented towards building mud houses and domes as well as the rain drainage system being used there. Meanwhile, they were acquainted with the architectural designs of courtyards, wind catchers and mashrabiya (a projecting oriel window enclosed with carved wood latticework) in Bayt Al-Suhaymi. During their visit to Al Azhar Park, the students were informed of the eco-friendly aspects that were taken into consideration while building restaurants.